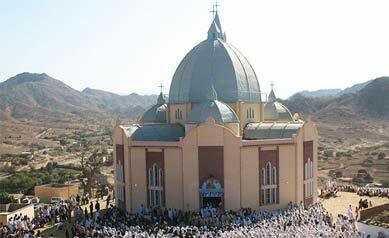 In a spiritually embellished letter, four Eritrean Catholic bishops issued a letter addressed to the Eritrean people. In the 38-page letter that the Catholic Bishops from the eparchies of Segeneiti, Asmara, Keren and Barentu wrote, they described the situation in Eritrea and appealed to the faithful to find solutions to the economic crisis, excessive exile, and other limitless predicaments from which Eritreans are suffering and are caused by the “no peace no war” situation prevailing in Eritrea. The title of the Bishops’ letter, “Where Is Your Brother?” is borrowed from the Holy Bible: it emphasizes sympathy and urges the faithful to find a solution for their problems. The letter was issued on the occasion of the 23rd anniversary of the independence of Eritrea which was celebrated on May 25, 2014. 1. Father Mengsteab Tesfamariam, Eparch of Asmara. 2. Father Tomas Osman, Eparch of Barentu. 4. Father Feqremariam Hagos, Eparch of Segeneiti. “Where Is Your Brother?” addresses all major issues facing Eritreans, including the moral and psychological damage inflicted upon the people; the poor educational status of the country; lack of rule of law; weakness of spirituality; economic hardships, and disasters befalling the youth in their attempt to flee the situation at home, and facing great risks on their journey in the deserts and seas. It also raised a multitude of social, spiritual, economic, and legal issues. Fourteen years ago, on the occasion of the tenth anniversary of Eritrea’s Independence Day on May 24, 2001, Abune Zekarias Yohannes, Eparch of Asmara; Abune Lukas Milezi, Eparch of Barentu; and Abune Tesfamariam Bedeho, Eparch of Keren had issued a Pastoral Letter of Eritrean Catholic Bishops entitled, “God Loves This Country.” The message touched on many aspects of Eritrean situation including the Ethio-Eritrean border; the state of the spiritual life of Eritreans, pluralism, election, aids virus and a host of other issues. Awate.com had presented scanned images of the part that deals with reconciliation out of the 39-page message. Reconciliation is not just with the enemy; we must reconcile with ourselves as well. To assess how far our strength can carry us, we must accept that, being human, and while exhibiting traits and behaviors of human beings– strengths and weaknesses, the good and the bad–we should always pursue moderation. Our society, as well, should carry a deep and broad spirit of reconciliation, forgiveness and unification. All efforts must be pursued to expand reconciliation and harmony to the segments and sectors that have differing views. While being one people and one society, and in order to live up to the concept of “One People, One Heart”, we should abandon the spirit of “us” and “them” and unify all members of our society. Otherwise, “a nation divided cannot stand (nor be fortified).” Lucas 11:17; Mathews 12:25. Indeed “Where Are Our Brothers?” The moral of the story of Abel and Cain is sometimes interpreted as limitation (self imposed) of God and Cain’s responsibility to muster the resistance to sin. In other words, the moral, from point of view of theology of sin, may not be about the expansion of sin by what happened to Abel. Rather about the God-Cain relationship. You raised good point. Haile derue in his last interview with Dan Conell said the revolution is hijacked by higdef. It does indeed. From that period on every single thing achieved by the justice struggle of Eritrea has been hijacked. Higdef use it for its propaganda purpose. The same thing with Bolonga. Bolonga played a vital role during the era of struggle and it is valid to commemorate its 40 years anniversary. However, the coming festivity in Bolonga is a place where higdef and its policy will be praised. Raising the current issue of Eritrea and searching for a solution is the right way to commemorate Bolinga 40. But higdef never will do it. Thus, the words of Dirue applies here too. Bolonga like many good assets of the struggle is hijacked by higdef. Regarding Lampedusa. They don’t care. Beabiu eti sewra techewiyu induu. Work it out sister, awate team is nothing without you around. After all, make an effort to resolve it as you have many readers of your writing. You call everything by its rightful name and we love you for that. You’re too kind. Awate is my second home. My refuge and of course more often my therapy as well amidst the unbearable push and pull strain in the fast lane of life. But most importantly it is an abode where my country men and women discuss ideas, principles and shape up a future in post-tyranny Eritrea. I wouldn’t say Awate is intoxicating but it is addictive and the withdrawal symptoms are more deadly than the former. Hope Disqus will not recognize me as a “foreign” entity and unleash its allergic reaction anymore and restore my former familiar self instead as I could never leave home without Awate as the popular advert has it. Apparently it is not working for me and of course it is frustrating to say the least. I will have to quite my all time fav website forum—Awate. I will see you all in post-tyranny Eritrea. Thank you. But you account is working! You posted the above comment only seven minutes ago… and it is working. I can only post as a guest and it asks me to wait for moderation-moderating, moreover, I have to type-in my email and pass word every time I try to post a comment. I never had that kind of problem before where I was able to reply and it would be posted right away. Papi, hold your horses there sister. You can’t quit. Haile, please save the day and come out with your quitter mentality lecture you have done here a couple times. Papillon, you provide an immense amount of depth and value to the debates here and you are one of the very very few women. You may not believe so but you are shaping a lot of opinions around here. We are talking about the future of our people and our country here and you cannot quite over a simple computer thing that is frustrating you. I would be extremely disappointed if I don’t see you here again and all the respect I had for you would be lost, well maybe. If you are going to quit over something like this, then I have to say bluntly and honestly that you have abandoned your people who are desperately needing our help. 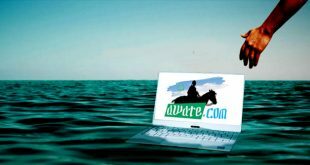 Like AT posted the other day, this website is visited by thousands of unique people everyday. I can assure you that very important people read your analysis and opinions and I can dare say some of their decisions is shaped by your inputs and analysis. You cannot quit. It would be an utter shame! Many thanks for those kind words and I am flattered to say the least. Would it be over-board to assume that Disqus could as well be “PFDJ”? A frustrated mind could be pushed to tatter on paranoia. What do I know! I may not belong to your tech-savvy generation but I can get my hands dirty and get-by with at least some of the rudimentary stuff including how to slap-n-flash a picture if need be. Pappi why don’t you do the same thing you did to tell AT it is not working. Quite? go head try it, you can’t. i will bet you with anything you want; you won’t Quite. you are in for the hook baby. cool down, get away and try it latter. Hahahah every one meet my baby Rahwa; she is ready to slug it out in a boxing match with me. Here she is in full Ethiopian gear, ready to fight. Where are you, answer my question. lol I am ready. hahahha the dude looks funny. Very niceeeeeeee. Take a break have fun. different and enterteining. Nitricc, your baby Rahwa is dumping you. She moved to is in Love with anther Amiche. The letter written by the Catholic Church Bishops has a strong base for the missionary mission. As Gospel preachers and leading fathers, they have obligation to see their own young followers and ask where they are. Here is a message in call of their duty from the Vatican Church. Failing to approve the call means not to fulfill what they are assigned for. wise and committed lay men and women guide young people in discerning the direction of their lives and in securing their future. For a more effective catechetical outreach, it is also important to continue to identify and prepare qualified lay leaders to assist in forming the faithful and thus make present “the fragrance of Christ’s closeness and his personal gaze” (Evangelii Gaudium,169). As you previously informed the smear campaign against the brave bishops is continuing at tesfanews (the mouth piece of the regime). We will see if the regime have a gut to arrest the bishops. You know the priests of catholic churches have an obligation to spread the letter of the bishops to their congregation. Here in the country I live they already started to talk in their churches. That will be a great threat to higdef. Hopefully, the civil movement will spread to other section of the society. And we in the diaspora should be united. Your reading of the situation is spot on in my view. This is pretty complex hot potato for PFDJ. Firstly, consider that one of PFDJ convoluted counter-argument use to be that if the situation in Eritrea were so bad then how come the people in Eritrea (who are said to be oppressed) protest. Well, this letter firmly puts such mischief to end. Unlike the diaspora Orthodox Church, the diaspora Eritrean Catholic church are said to be part of the “silent” opposition. So, their ground is already fertile to receive the seeds of courage from the bishops and would surely grow in confidence. The regime is in extremely weak position to go through open confrontation with the church and the rest of its regional and international bishops’ conference. 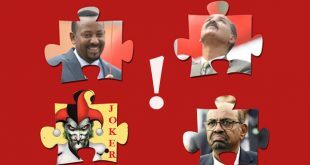 The typical PFDJ instrument of hushuKshuK would be less likely to work with the vast followers of Catholics or even Kenisha. Due to lack of education and high degree of illiteracy, the hushuKshuK works best with the Orthodox followers. I guarantee you that the PFDJ 03 will start in earnest to propagate what is written in this dirty document they wrote in response to the bishops letter in social occasions as weddings, baptisms, birthdays… starting this weekend. The danger with this is now most Catholics have large number of Kerenites in their ranks. And most of our Kerenite brethren have long waned off PFDJ’s world of lies unlike us Asmarinos. So the HGDEF 03 would end up polarizing Orthodox against Catholic, Asmarino against Kerenino 🙂 and is not like your typical hgdef covert operations of mass misinformation management (mmm). Sebri, At first I rejected their decree simply because it came from religious entity. I simply object the involvement of religion in to politics. It is a dangerous mix. However; I had a few munities to spare and I listened to the Audio Thomas presented and I am 120% in agreement with content. Very much they touch every pressing issue with the outmost delectation and articulation. They call PIA out. 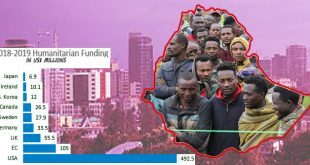 They call the greedy Diaspora out for encouraging the youth to flee. They call the greedy parents out for welling to sendoff their children to overseas so, they can benefit. The call the fleeing youth out for not choosing to built their country instead exposing them selves to dangers and death. They call every one out and I am in full agreement with Catholic Bishops. I wish it was inclusive to the rest of religions, specially the Muslims and Orthodox. So, could have added some weight to force the government to act. I think after Dejen’s tragedy, the end of the game is approaching. Good now to see you turned. I think the soul searching lectures helped you well. Good to see you turn (not a U-turn of course) and be the Justice seeker Eritrean. By the way, I am back now after finishing my final semester exam. Nitric was on his psych meds when he wrote this 🙂 soon or later, he will return to be less complaint. Why is it that the smartest amongst us always find technology mysteriously working against them? Look at Papi, yodita, Haile, Aman, Eyob M., hayat etc have each complained like a baby about disqus being impossible, not user friendly, erratic, you name it. Maybe it’s the older gen. Me and my buddy Nitricc have never complained about this website nor about disqus, I guess it’s like football. Technology is a young man’s game but politics is an old man’s game. Hailuwa, okay how much did you pay that teenage neighbor of yours to do your profile picture? I know you do not have the patience to go through the motions of it. You are probably logged in to disqus to never be logged out, you know like how a lot of habesha people would tie the tie and only loosen it for the next time around lest they can’t find someone to re-tie it for them. That’s just for humor my brother. Generally you might be correct, that the old generation aren’t savvy as much as the young generation. But not to the extent you think about them. About this Desqus ,One of the thing I understood from experience of doing it, if you edit something on your comment after, say half an hour and if your comment is a lengthy one, it stocks it in the back and takes sometime to show up on the page. As to the tie issue, after over forty years of doing it almost routinely, I don’t think it is difficult. In any case you gave us something to laugh. Ermi, as young generation you know what the heck responsibility on your back. I am sure You don’t miss it what I mean. Just fight to dissipate the clouds of civil war.